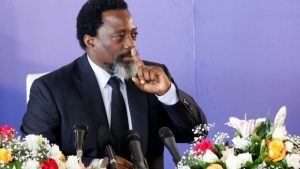 Democratic Republic of Congo’s President Joseph Kabila will not be seeking a third term in December’s election, his spokesperson has said. The governing coalition has nominated former interior minister Emmanuel Ramazani Shadary to be its candidate. Mr Kabila’s second term ended in 2016, but elections have been delayed and there had been speculation that he would run again. Eight other candidates have registered to run ahead of Wednesday’s deadline. Mr Shadary will face former Vice-President Jean Pierre Bemba, who returned to DR Congo last week after being acquitted of war crimes at the International Criminal Court. Mr Bemba was greeted by a mammoth crowd on his return to the country after 11 years. Felix Tshisekedi, who leads the largest opposition party, is also among the front-runners. But another favourite, Moise Katumbi, the former governor of the mineral-rich Katanga province, who has been on a self-imposed exile, will not take part after being blocked by authorities from entering the country. Mr Shadary has been a key supporter of Mr Kabila. His tenure as interior minister was marked by a violent crackdown on opposition politicians and their supporters, and the arrest of activists, the BBC’s Anne Soy reports from the capital, Kinshasa. He is among eight senior DR Congo government officials targeted by European Union sanctions last year, our correspondent adds. Mr Kabila became president when his father Laurent Kabila was assassinated in 2001. He was elected in 2006, and secured another term in controversial elections in 2011. The 47-year-old leader refused to leave office when his term expired in December 2016. The country’s electoral commission said at the time that it could not organise elections until 2018 because violence in the eastern Kasai region had impeded registration of voters. Opposition groups however saw it as a ploy by Mr Kabila to extend his time in office. An anti-Kabila protest in September 2016 was violently repressed leaving dozens dead. The government then banned public demonstrations. 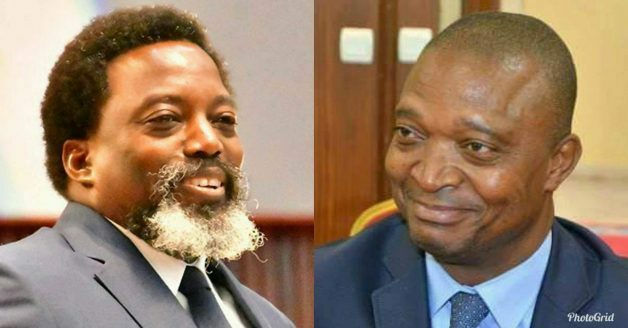 Amnesty International lead researcher in DR Congo, Jean-Mobert Senga, welcomed Mr Kabila’s plan not to seek a third term but added that his government must now ensure that people can freely exercise their voting rights during the election period. The rights body also called on the lifting of a ban on peaceful demonstrations. The US and EU have been pushing for Mr Kabila to stand down. DR Congo has been riven by conflicts as several militias fight for control of territory and mineral-rich areas. The situation has seen millions of Congolese forced to leave their homes and others fleeing to neighbouring countries. The UN said in March that more than 13 million Congolese need humanitarian aid.